It may look as though a slew of lumberjacks have taken over Penn Manor, don’t be mistaken, it’s just the new fad. Originally, the flannel was associated with certain groups of people such as lumberjacks, woodsmen, farmers, or “manly” men. This fad seems to be coming out from all angles, from preps to skaters to hicks, or just anyone who wants to be comfortable. This seems to be one of the main reasons that many Penn Manor students like to sport their flannels on a regular basis. Junior Ryan Wissler, who has been wearing flannels for what seems his whole life, says that he just wakes up in the morning and puts on his flannel because its there. He also says that he doesn’t care if other people have started to wear them. “Whatever floats their boat,” Wissler says. Despite what these Penn Manor students may think, they aren’t the only ones who support this fad. It seems to be one of the newest fads in America and many stores including American Eagle, Hollister, Pac Sun, Abercrombie & Fitch, and Zumies now sell the beloved flannel. 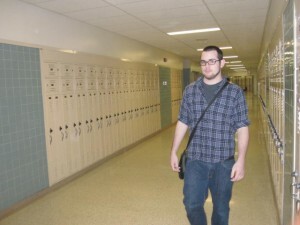 However other students seem to feel offended that so many kids in Penn Manor have started to turn onto the flannel fad. Whatever your style, it seems that the flannel will find you and according to the students and Penn Manor, you’ll be comfortable and happy in your new lumberjack attire. The flannel wear may be annoying to some, but I much rather prefer to see someone wear that, then flourescent neon pants and neon fake glasses. Could you draw anymore attention to your self?